Juggling work with the rest of our busy lives sometimes leaves very little time for anything else. So how can you find the time for yourself to take a break from the hustle and bustle of the city? A brand new nail salon MOKSA opened last month in the heart of Central might be just a perfect place to do it. 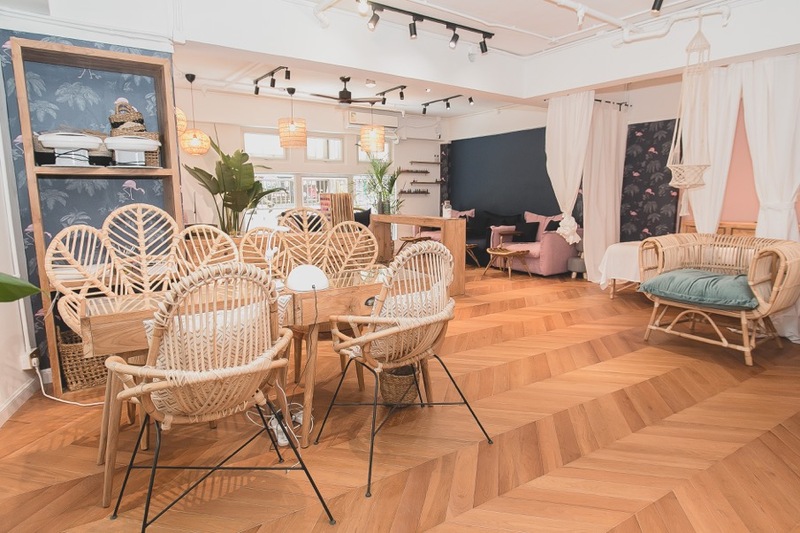 Boasting a row full of cushy seats and a relaxing interior that was practically made for picture perfect Instagrams, it’s one of the chicest spots in Hong Kong. 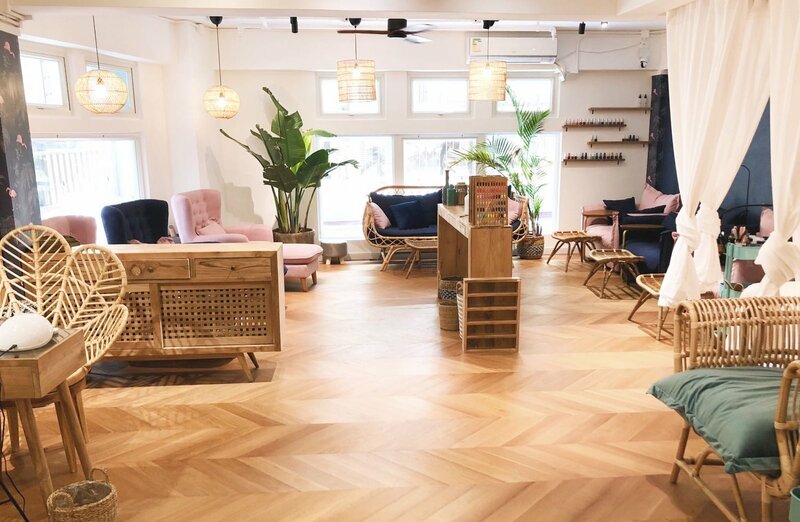 But this nail and juice bar isn’t like any other: having only natural options in their offer they specialize in a slow beauty, free of the harmful toxins & chemicals. 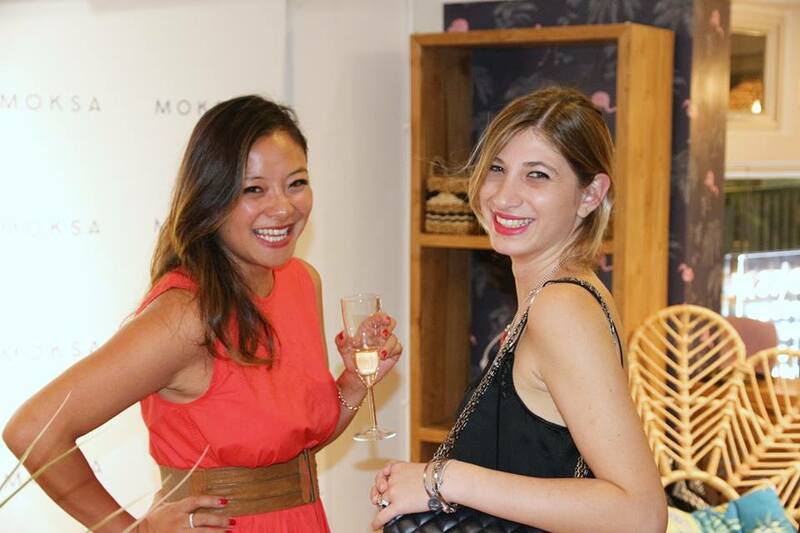 Read on to find out more about the mind behind the MOKSA – its founder Peishu Nien. In a short interview with Lookdiary, she explains what inspired her to create a slow beauty concept store, how it all started and what are her plans for the future. We’re simply in love with MOKSA’s natural, slow and sustainable philosophy. But, don’t take our word for it and see it for yourself. Go for their natural, detoxifying manicure or pedicure accompanied by the glass of delicious and healthy juice. A spoiling session like that will remind you the importance of slowing down every so often so you can rest, recharge, rebalance and recalibrate and get back out there again to make it happen! 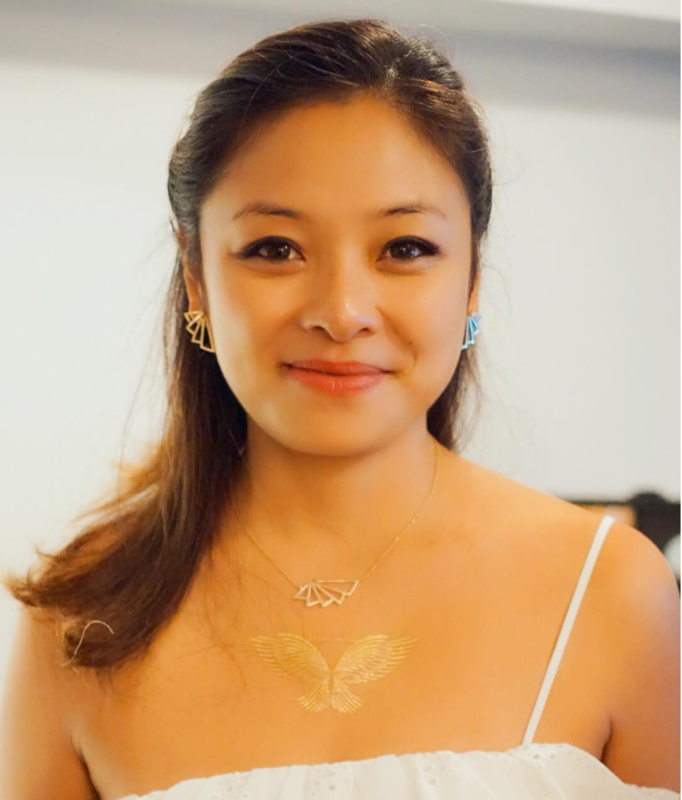 Interview with Peishu Nien – founder of MOKSA. Lookdiary: Tell us little bit more about yourself as a person. Peishu: I’ve been on a crazy journey for the last 15 years. Moving from Shanghai, Sydney, Pekin, Kuala Lumpur, Shanghai again, to finally settle in Hong Kong, I worked with luxury beauty and fashion brands that had very strong expectations in terms of branding and customer satisfaction. To balance this crazy lifestyle that I’m passionate about I am always making the time to unwind over a good laugh with my friends and colleagues. Lookdiary: What is it that makes MOKSA special? Peishu: I’d say at least two things. First, personalized attention and luxury service. Our organic and sophisticated approach to beauty emphasizes the high end but very well thought through service with a personal touch. We believe in a natural and sustainable philosophy of a beauty inside out that cherishes the slow moments of taking a break to relax. We are very meticulous with our emphasis on organic and natural approach using only eco-friendly products, customized aromatherapy essential oils blend and soft medicine. Second, a combination of my personality, my passion and my travel experiences. I’ve always believed that you can do anything you want if you set your mind to it, so I tried to make my passion, my work. Luckily for me, it turned out to be the right en vogue because MOKSA embodies what I truly love and what I’m passionate about. Sharing my story, I hope people visiting MOKSA can find something in it that they can take with them for daily inspiration. 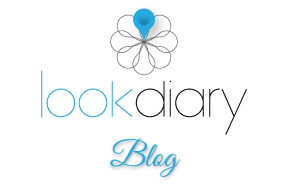 Lookdiary: Your best memory with a customer? Peishu: It’s just the begining so it’s still a bit fresh. But as a general rule having the customer coming back, and making friends with them feels amazing. 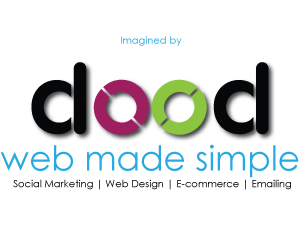 Lookdiary: What standards for quality of service do you require from your staff? Peishu: It’s important for us that our team understands and advocates for MOKSA’s philosophy. Therefore, we follow a very strict protocol that gives our employees a training on our concept specifically, and that ensures they’ll be able to meet our customers’ needs. Above all, we believe that mutual support and understanding is essential for a good, long-term work relationship. Therefore, having employees that are happy to work with us is the best way for us to ensure the highest quality standards and the top-notch customer service. Lookdiary: What cosmetic brand are you using for the different treatments and why? Peishu: Striving for a healthy and sustainable nail spa experience we carefully selected only a top quality natural brands. We use Manucurist – a French brand, that specializes in nail treatment, organic, vegan, cruelty-free nail color polishes, and Artisanal providing organic essential oils from France. Lookdiary: What is your secret ingredient to run a successful business? Peishu: Hmm, we are just starting now. You better ask me again in 5 years when I’ll hopefully have the answer (laugh). But, as for now I think it’s doing your best at every single level. 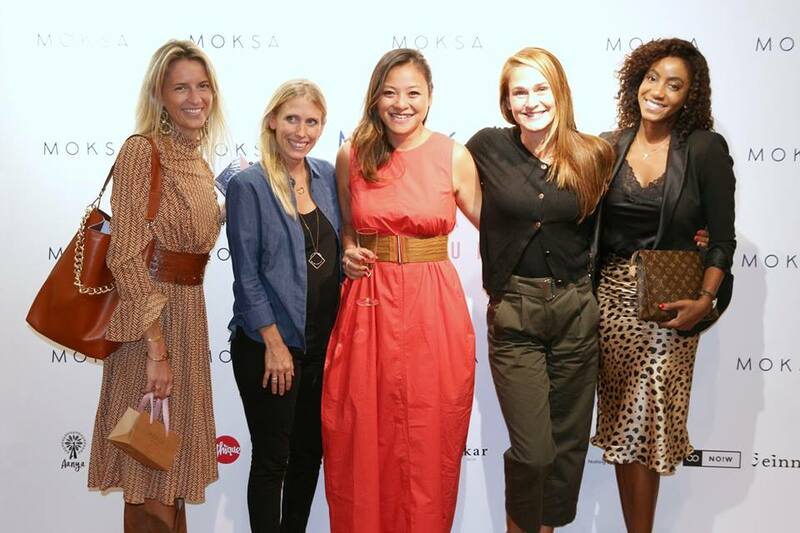 Lookdiary: Any future plans in the pipeline for Moksa? Peishu: Open branches in Hong Kong spread our concept. And then why not go beyond the border where the destiny will lead us. We believe that business is like beauty. You have to make it beautiful from the inside in order for the outside to flourish! Peishu: Very lucky :), and rewarding. Building a relationship with the customer and seeing their journey to satisfaction feels truly amazing. Lookdiary: Share one quote that you live by. Peishu: Life is what our thoughts make it! I love to believe that we are free to achieve anything we want to in our life. All it takes is putting enough efforts into it. Lookdiary: What is the most underrated treatment according to you? Which of your treatments is your soft spot? Peishu: Foot scrum massage “Spicy Bali”. It makes you travel to the heart of Indonesia while in the center of Hong Kong!